It's every geek's dream tow work at Google but everyone's not so lucky. 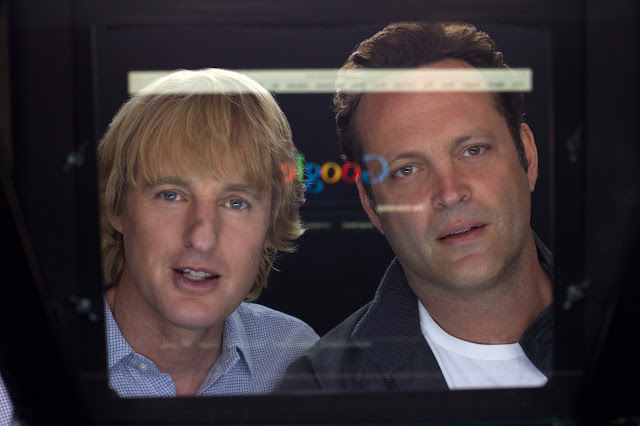 But thanks to 20th Century Fox, normal folks like us will get a bite on what working at Google feels like with the comedy film "The Internship" (it also helps that the film was shot on-site). Nick (Owen Wilson) and Billy (Vince Vaughn) are two old-school salesmen in their 40s who use old fashioned charm and sales techniques to sell watches. On the night that they try to close a big sale with a client, they find that their company has been shut down because kids don’t wear watches anymore. Suddenly, they find themselves unemployed as two dinosaurs in the digital world. After an exhaustive job search online, Billy chanced upon an opportunity for them to reinvent themselves – an internship program with Google. At Google, where it’s worlds away from anything they have experienced before, they find themselves in a sea of tech-savvy 20-year-olds who they need to compete against to win a full-time employment at Google. They eventually team up with a sexually curious nerd, a mobile phone obsessed geek, a genius Asian kid who lacks social and common life skills and Lyle who is an underdog who wants to fit in. Going through training and competing with kids half their age, they are hell-bent to prove that it’s never too late to reinvent yourself. Catch the latest trailer of the sounds-crazy "The Internship" after the break. “The Internship” from 20th Century Fox opens very soon cinemas in Philippines cinemas and June 7, 2013 in the United States.